Even though we live only a 14 minute drive away, for one reason or another we’ve never been to KidZania before. I took my son (11) & daughter (8) on a Sunday in March to finally experience the ‘Indoor City designed just for kids’, and WOW! What a unique concept! My son thought he’d be too old for it, but soon realised there’s loads to do for any aged kid. In fact, because he was a bit older than the majority, the activities he was most interested in were less busy. There are so many varied activities, and all such fun, I can’t imagine any child running out of things to do. From crafting and cooking to dancing and acting, sporty, investigative, the list is endless. The website suggested a 4 hour trip would include 4-6 activities, but mine managed to get about 10 in each. The quickest are about 10 minutes but most last about 30. Outside each activity it helpfully states duration, suitable age and how many kidZos (the KidZania currency) they’ll either earn or are charged per session. My kids quickly scouted around to decide which sounded the most fun and / or earnt them the most cash (Window Cleaning FYI), and went about having as much KidZania mania as they could fit in. The wait times were pretty reasonable, and you can come back for the start of the next session. I guess with older kids the planning is easier, and is probably how they managed to fit so many in. But if you’re not going to be with them it’s probably worth reading up on all the activities and giving them a bit of an idea of what to expect and to head for. My son’s favourite was the radio presenter experience, so he did that twice and LOVED it. 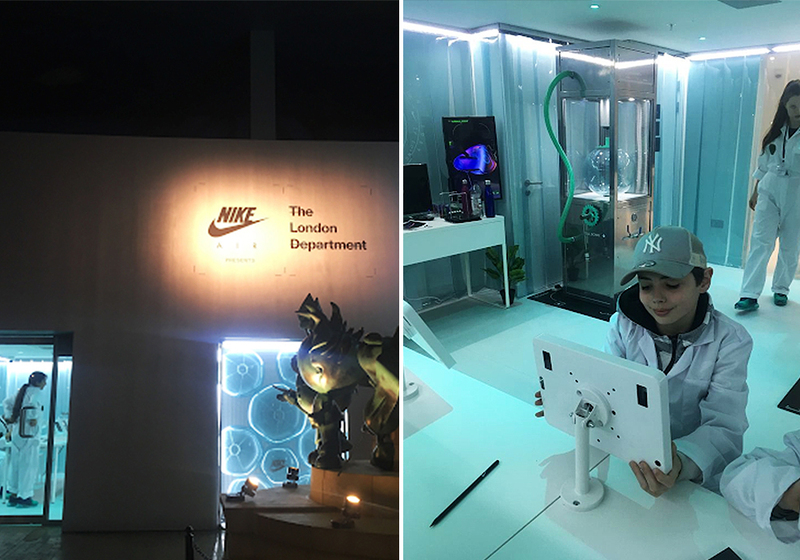 He also got to try out Nike’s new Department of Unimaginable, where he learnt about the engineering of Nike Air Max and got to design a pair himself. We’ve entered it into their competition (fingers crossed!!). 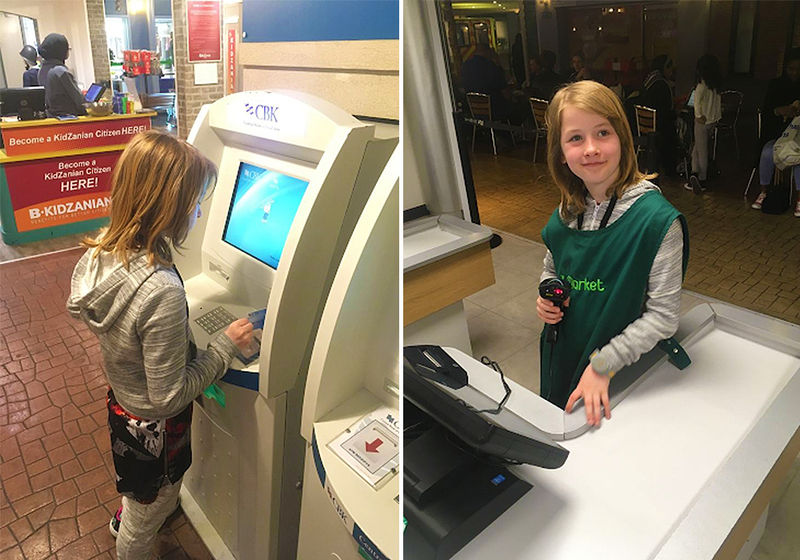 My daughter’s favourite was being a pilot and being able to open a bank account with a real cash machine card to withdraw her well earnt kidZos! They did so many different activities, and loved each and every one of them. They can’t wait to go again, so we’ll be back but I think next time I’ll let them do it on their own while I have a Westfield Shopping Centre trip! Save up to 40% on KidZania London tickets with us here!